Earlier this year, Urban.com.au posed the question: "Is 2018 the year of commercial for the Melbourne market?" As 2018 has rolled on this notion has continued to be reinforced with developers snapping up and consolidating sites or scrapping their apartment developments all together, in favour of office. At the beginning of the week we highlighted PDG's revised development intentions for the former Toyota site at the top end of Elizabeth Street. Dubbed Elizabeth North the three tower commercial scheme replaces an earlier four building residential scheme, in response to the current state of the residential apartment market. 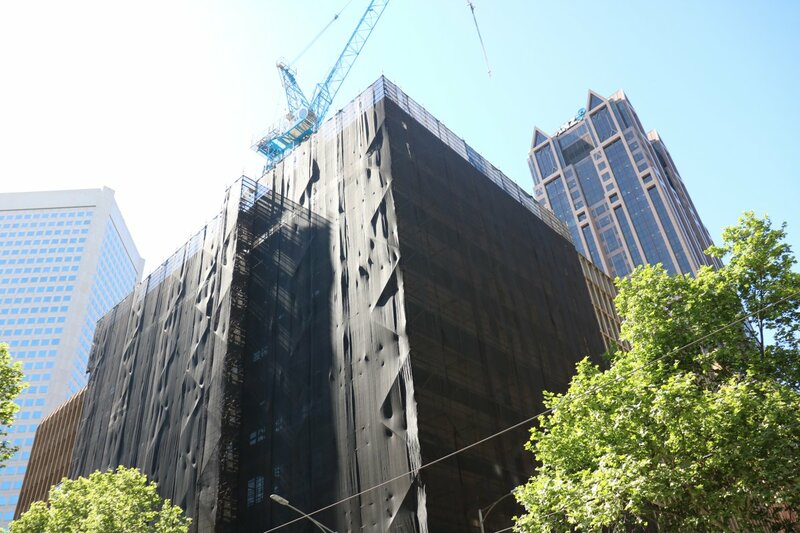 The latest site set to switch to commercial use appears to be 555 Collins Street, after Fragrance Group sold the site to Charter Hall for a reported $140m, according to the AFR. This comes after Fragrance only managed to achieve sales of 46 per cent of the 625 total apartments in the 12 month period since the project was launched to the market. Charter Hall's recent acquisition adds to its existing land holding at 55 King Street which adjoins 555 Collins Street and now forms part of a combined development site of 4,627 sqm. Applying a plot ratio of 18:1 as per the Central City planning controls would result in a developable Gross Floor Area of 83,286sqm or just shy of 67,000sqm NLA. Taking into consideration floorplate sizes, setback requirements and overshadowing controls etc. a single commercial office building of around 30-35-storeys could be expected on the combined site. Charter Hall had previously investigated developing an office building of around 27-storeys at 55 King Street. In recent months Mirvac has acquired the 383 LaTrobe Street site from Sterling Global for a cool $122m, after the latter gained approval for a 70-storey mixed-use tower designed by Ateliers Jean Nouvel. A 5-storey office building currently leased by the Australian Federal Police (AFP) occupies the 2,850 sqm site. The AFP are due to relocate to 311 Spencer Street in late 2020. 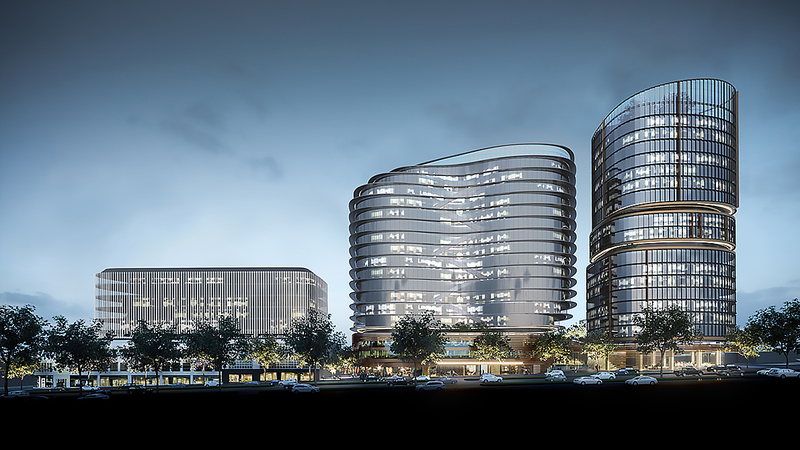 In the interim it is understood that Mirvac have engaged Cox Architecture to develop a commercial scheme for the site. Dexus, which sold a development site at 32-44 Flinders Street with a permit for a 54-storey tower, has in recent months snapped up two sites at 52 and 60 Collins Street for $230m allowing them to proceed with single commercial development. The site is located opposite QIC GRE's 80 Collins Street redevelopment which is currently under construction. Finally, Cbus Property has resumed demolition of 150 Queen Street to allow for the creation of a temporary park, while it finalises plans for a Bates Smart-designed commercial development. Cbus' extensive redevelopment encompasses a consolidated land holding comprising 140 and 150 Queen Street, 27 McKillop Street and 423 Bourke Street, and is expected to have a development value of around $1bn, not too dissimilar to its Collins Arch project. Based on the above, it looks like the commercial trend of 2018 is likely to drag on into 2019 as planning applications are lodged. Watch this space.